Well I've started getting them on. I forgot how thin RS's are and how quickly they come off the backing paper, one wiff of water and they are off. Being thin you have to be a little careful with them, but overall they behave well. Means the aircraft I'm building is real world. But surely they were among the very first "What Iffers" ? Here's my latest two - the Mohawk and Whirlwind which have their own threads over on the RAF 100 GB strand. Well the S.A.I. is at the varnish stage so she will go to the ball this weekend. I've also been reading up a little bit about the design as I thought the armament of two 12.7mm Breda m.g. 's was a little light for 1943 and it turns out that it was designed to have two 20mm Mauser's as well. 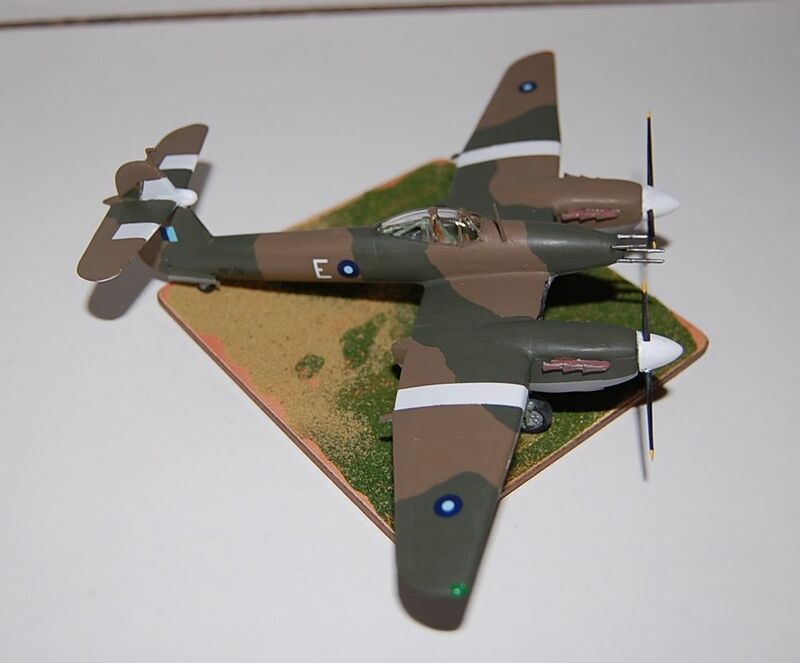 Now the production run of 3,000 was cancelled after only 13 had been produced and the order was transferred to the improved S.A.I.403, so the aircraft I have modeled is one of the pre-production aircraft which didn't have the cannon fitted. Now the 403 is an interesting aircraft. With it's relatively heavy armament of two x 20mm and two x 12.7mm guns, a top speed of 403 mph at 23,000 feet and its tiny size it may well have proved a useful fighter. So I will be on the look out for the RS model of it at Telford. The 207 is finished I'll stick a couple of photo's of her up when I've taken them. Here's a couple of shots of the S.A.I.207. Ambrosini S.A.I. 207 of 3rd Stormo, R.A.I. based at Cervateri, Italy in the summer of 1943. I've just about got all the innards including etch fitted so I'm ready to close her up and watch most of it disappear, probably To be honest I'm a little bit sceptical of IBG's suggested method of closing the fuselage, but we shall see. One odd one is why do manufacturers who include an etch sheet with their kits quite often don't include the seat belts on it ? All bodes well for their Los which hopefully is on its way to me now. Interestingly looking at the instructions for their PZL 23 they show a different assembly procedure which is the same one I'm thinking of using. So given the kits came out at the same time they must have thought there was a reason to be different ? Anyway I'm going to procede slowly with this just in case. 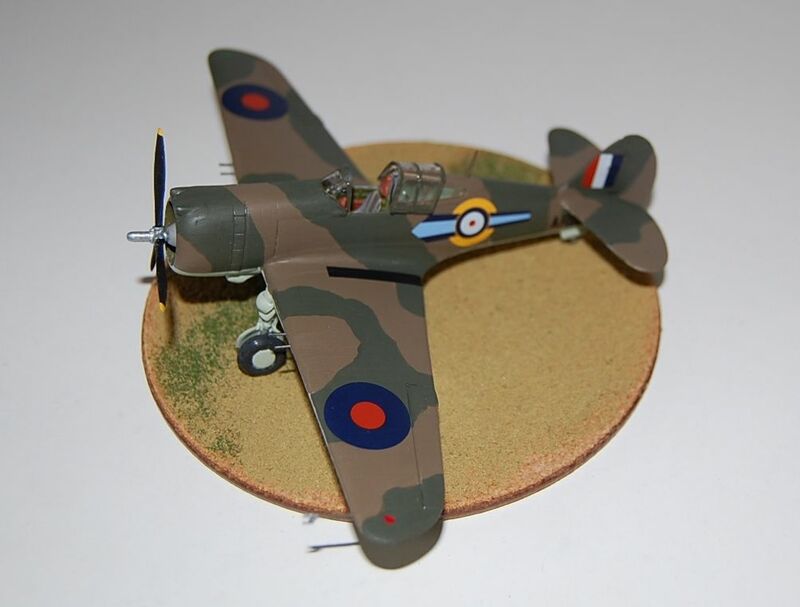 Right after a little bit of a struggle I now have a completed PZL.42 airframe. So as said I'd already decided to depart from IBG's recommended assembly order and fit the fuselage halves together and then fit that over the wing assembly which has the cockpit fitted to it. That was giving me a fit problem with the wing/fuselage joint so I removed the cockpit from the floor and inserted that into the fuselage from below. It's tight, but you can get those tiny tongue and grooves to mate. I then fitted the upper cockpit framework from above. Again it's tight but just a small bit of pressure and it's in. Finally I secured the wing assembly and the wing root joint gap had almost disappeared, a little PPP and that will be it. With things on the current builds progressing (touching wood as I type) I dug out a couple of simpler builds to do next, probably post Telford/Xmas build up. 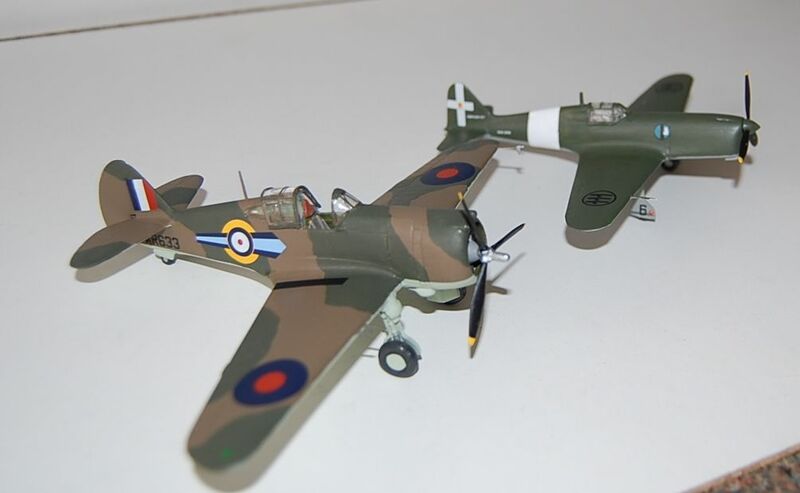 So they will be an Airfix Mk I Hurricane, Battle of Britain, but with Freightdog 20mm cannon that were trialed on them. 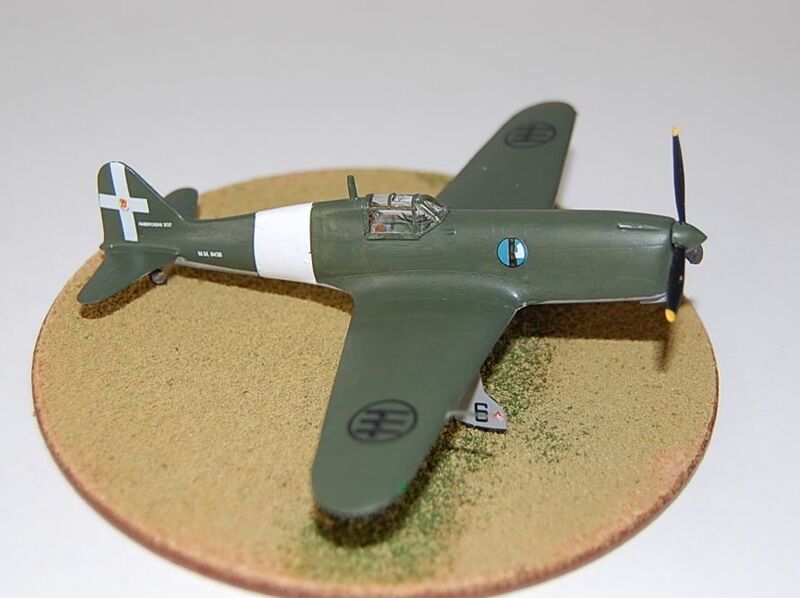 The other is an RS Models Hs 132A. Probably do her Luftwaffe (although an ANR one with 3 colour uppers is calling to me). We shall see. 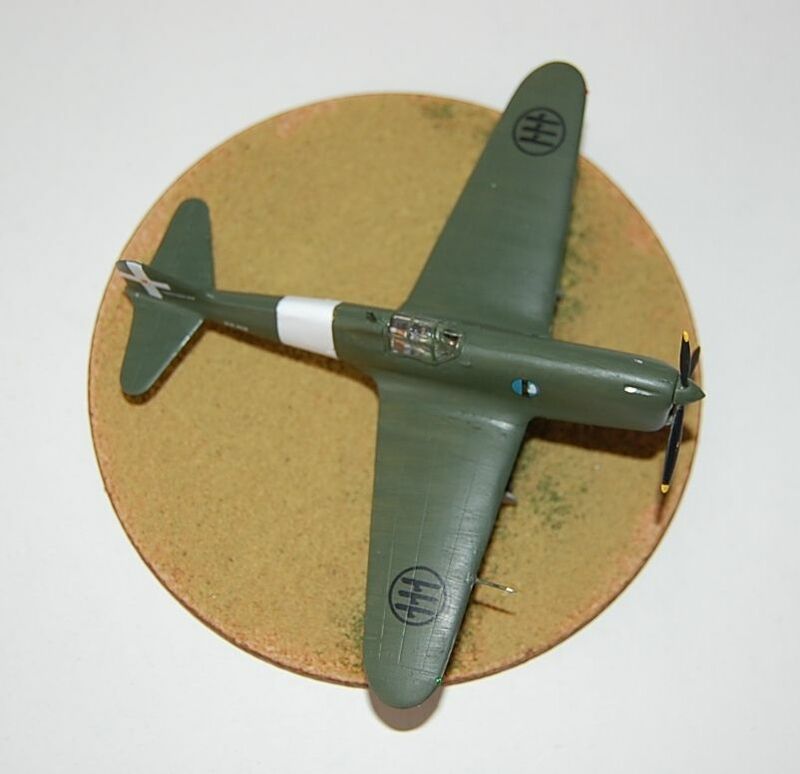 The other is an RS Models Hs 132A. Nothing on the telly last night, so I started on this after some p.s.r. on the Vickers. Looks quite nice on the sprues, some rather prominent knockout pins but they are easy enough to remove. It's been moulded with both types of engines planed for the type, so you could model the "B" as well as the "A" as boxed. Some flash but nothing to onerous. The only bit of iffy moulding is the recess for the bomb. It doesn't match up when you align the fuselage halves. The fuselage is fine, but the recess it'self is shorter one side then t'other, and by a fair bit Might be easier to fill it in and use a normal bomb rack. Anyway a fair few sub assemblies have been put together and it's going together well so far. Meanwhile work on the Hs.132 continues at a slightly more hectic pace and I'm thoroughly enjoying it. I've decided I like RS Models, the more recent tooling's in particular. Go together well, but with just a little bit of a "challenge" to the build so you don't get to blase about the things. Shall be looking for some more at Telford including their new tool B&V 607 if it's out.